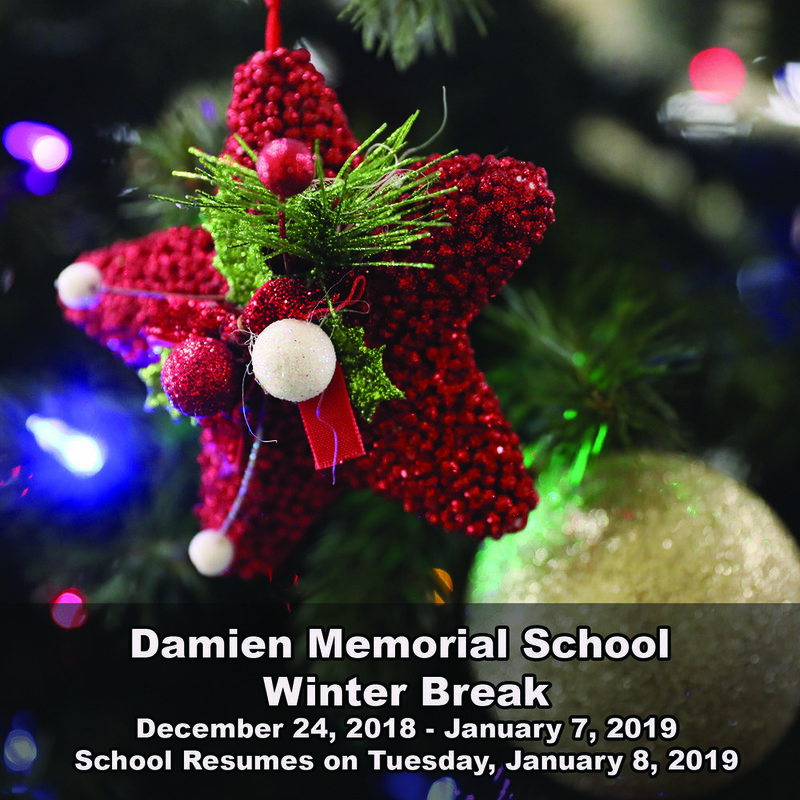 Winter Break: December 24, 2018 - January 7, 2019. School resumes on Tuesday, January 8, 2019, B-Day Schedule, 7:45 AM start time. The main office will be closed December 24, 2018 - January 7, 2019.